This article is the first in a series addressing this question (for the introduction, click here). The series itself follows on from Council of Nicaea (Significant Moments in Church History, number 1), where I suggested that a new version of Christianity was created in 325 AD. This series explores the alternatives that were rejected then. It is a fundamental doctrine of Christianity that Jesus was an incarnation of the Divine upon Earth, and that he was this ‘Son of God’ from the moment of his birth, and indeed before. An interesting question is whether this is something which the earliest Christians believed, or whether it is something that was imposed in retrospect. Things become even more intriguing when one realises that earlier versions of this text were closer to an adoptionist interpretation, but were edited in order to omit the material offensive to later Christianity. The scholar Bart Ehrman, in his important book Misquoting Jesus (1), notes that there is an alternative account in an earlier version of Luke; compare the text above “Thou art my Son, the Beloved; with you I am well pleased” with “You are my Son, today I have begotten you”. Ehrman believes that the latter is the earlier, and therefore more authentic, version in that it “was quoted a lot by early church fathers in the period before most of our manuscripts were produced. It is quoted in the second and third centuries everywhere from Rome, to Alexandria, to North Africa, to Palestine, to Gaul, to Spain” (p159). (If it was quoted by them, perhaps this is what they actually believed.) Other scholars have come to a different conclusion, but Ehrman argues against them, convincingly in my opinion. So, an early version of Luke, of the Synoptic Gospels the most in line with Christianity as we have come to know it, has an apparently blatant adoptionist statement, which has been changed by later editors to conform to the Christian message. Ehrman argues that Luke may not have intended this. I am not so sure (2). Not all Christians may be aware that when ‘God’ spoke at Jesus’s baptism, before the text was altered, he was quoting word for word Psalm 2.7. As we have just seen, the text was changed, because it implied that Jesus was a human being, adopted by God at his baptism. The earlier, unedited, text had no suggestion that Jesus was divine; as Ruqaiyyah Waris Maqsood, Muslim writer and critic of Christianity, observes: “Psalm 2 was not a proof-text of divine sonship, as so many Christians assume, but was the psalm used in the coronation ceremonies of Hasmonaean kings. The full text, known by heart by any devout Jew, was specifically political, and certainly did not indicate any earthly incarnation of a pre-existent divine entity” (3). You would think that God knew what he was talking about. Later Christians obviously chose to think otherwise! Ehrman notes other changes which have been made, in order to avoid adoptionist conclusions. For example, references to Jesus’s “father and mother” and “parents” are changed to “Joseph and his mother”, obviously to support the doctrine of the virgin birth, avoiding any suspicion that Joseph might be the father. He also refers to 1 Timothy 3:16, “where most later manuscripts speak of Christ as ‘God made manifest in the flesh’, this (earlier) manuscript originally spoke, instead, of Christ ‘who was made manifest in the flesh’ … This later corrector changed the text in such a way as to stress Christ’s divinity. …the same correction occurred in four of our other early manuscripts of 1 Timothy, all of which have had correctors change the text in the same way, so that it now explicitly calls Jesus ‘God’. This became… the text of most of the early English translations” (4). 1) In Acts 2.36 Peter addresses a crowd thus: “Therefore let the entire house of Israel know with certainty that God has made him both Lord and Messiah, this Jesus whom you crucified.” This strongly suggests that Jesus became the Son of God (Messiah) not at birth, rather after his crucifixion and death, not even at his baptism. Astonishingly, the apostle Paul, who is often blamed by critics for originating the idea of Jesus’s divinity, seems to share this understanding; he says that Jesus “was declared to be Son of God with power according to the spirit of holiness by resurrection from the dead” (Romans 1.4). And these passages, despite all the later editing and revisions, have been allowed to remain in the New Testament! 2) David Elkington makes this extremely interesting observation: “The Ancients believed that divinity could be incarnate upon the earth. This would be in the form of a messiah-king, not incarnate at the moment of birth but at the moment of coronation, which was an initiation ceremony, an anointing with the power of God” (5). Coronation again! An anointing takes place in John 12.1-7, but you would never know from the text that a coronation is being referred to; if John knows about this tradition, he is obviously alluding to it indirectly. It is interesting, however, that this anointing takes place immediately before the ‘Triumphant Entry into Jerusalem’, when Jesus, we can assume, was declaring and claiming his kingship. This significant timing, assuming that it was intentional, suggests that John knew what he was talking about, and assumed that others in the know would understand his message about this ‘coronation’. In support of this line of thinking, Michael Baigent, Richard Leigh, and Henry Lincoln quote scholars C. H. Dodd: “Behind the Fourth Gospel lies an ancient tradition independent of the other Gospels” (6), and S.G.F. Brandon: “The Gospel of John… appears to know a tradition concerning Jesus that must be primitive and authentic” (7). They observe: “This is not an isolated opinion. In fact, it is the most prevalent in modern Biblical scholarship”(8). They also agree with Elkington’s understanding of the anointing: “It appears to be a carefully premeditated rite. One must remember that anointing was the traditional prerogative of kings – and of the ‘rightful Messiah’, which means ‘the anointed one’. From this, it follows that Jesus becomes an authentic Messiah by virtue of his anointing” (9). 1) the anointing was performed by a woman, Mary. Elkington assumes that this is Mary Magdalene. 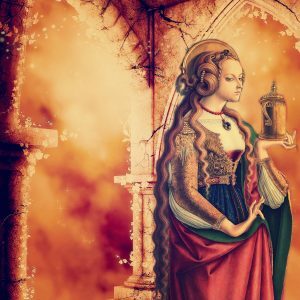 Bart Ehrman disagrees, saying that it is Mary of Bethany (10). Baigent/Leigh/Lincoln believe the two women are the same person (11), and Laurence Gardner, who seems to have some inside knowledge about all these matters, concurs (12). Whoever is right, the initiator of Jesus was a woman, which would give her some kind of priestess status. This would be uncomfortable for Judaism and Christianity, both of which have traditionally offered women no significant role in religious matters. 2) the Gospel of John is the least Jewish, and most orthodox in terms of modern Christianity on the question of Jesus’s divinity. It may seem strange, therefore, but are we to assume that John was familiar with, and was including, a hidden kingship tradition? Or perhaps this passage was edited later, toning it down, to remove the implications of a coronation? 3) all four gospels have an anointing event (13). Is it possible that they are unwittingly referring to a coronation in their sources, without understanding the implication? Or do they know they are referring to a coronation, but merely state it indirectly, knowing that readers will understand? Or have the texts been changed by later editors in order to remove the suggestion of coronation? In earlier articles I have noted that prior to the Council of Nicaea, there was much debate in the early Church about the nature of Jesus, and what was the authentic Christianity (14). Also that, following the decisions of the Council, there was extensive book-burning, editing, and rewriting. We have good reason to be suspicious of the whole procedure. At the very least we have the right to ask whether the right decisions were made. In Judaism the attribution Son of God (Messiah) did not necessarily imply a divine figure. The divine son-of-god was actually a pagan tradition. 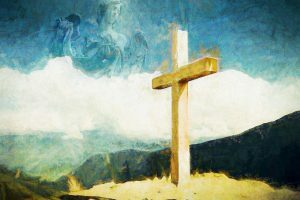 It is possible that later Christians, in the wake of Constantine’s Nicaea, may simply have misunderstood. (2) Acts contains one passage (10.37) which suggests the baptism, and another (2.38) which suggests the resurrection, and Luke’s gospel states that Jesus was of divine birth. Ehrman, along with many other scholars, thinks that the author is the same, and therefore concludes that Luke is not bothered exactly when Jesus became Son of God. This argument relies on some guesswork, even if it is well founded. To me, the unedited statement in Luke is so clear and unambiguous that it can be taken as it stands. (11) They say that “there is substantial evidence for regarding the Magdalene and the woman who anoints Jesus as one and the same person”, and John says that the anointer of Jesus is Mary of Bethany. “The medieval Church certainly regarded them as such, and so did popular tradition. Many Biblical scholars today concur. There is abundant evidence to support such a conclusion” (p354). 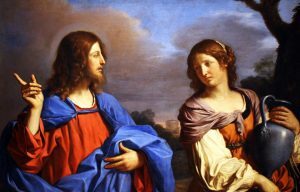 It is far from conclusive, but there is further possible evidence that Mary Magdalene is the anointer. See footnote (13) for two references to connections between the anointing and Jesus’s burial. Who arrives at Jesus’s tomb in order to anoint his body? Luke says, somewhat vaguely, “the women who had come with him from Galilee… prepared spices and ointments” 23.55-56, and “on the first day of the week, at early dawn, they came to the tomb, taking the spices that they had prepared” (24.1). For some unknown reason he delays telling us until verse 10 that “it was Mary Magdalene, Joanna, Mary the mother of James, and the other women with them”. 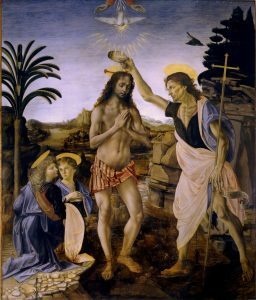 Mark says clearly (16.1) that Mary Magdalene (along with the mother of James and Salome) went to anoint him. (12) Bloodline of the Holy Grail, Element, 2002, p56. 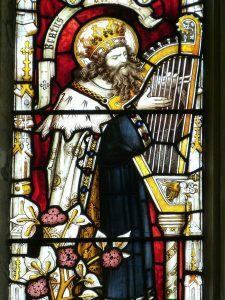 He also provides two sources for the ‘medieval Church’ referred to in footnote (11): “Gregory I, Bishop of Rome 590-604, and St. Bernard, the Cistercian Abbot of Clairvaux 1090-1153, both confirmed that Mary of Bethany was synonymous with Mary Magdalene’. Gardner goes further than the others, saying: “Only as the wife of Jesus and as a priestess in her own right could Mary have anointed both his head and his feet with the sacred ointment” (p54). (13) John, of the four gospels, is the most interesting on this episode. In Mark an unnamed woman “came with an alabaster jar of very costly ointment of nard, and she broke open the jar and poured the ointment on his head” (14.3). Jesus interprets this thus: “she has anointed my body beforehand for its burial” (v8). (John has Jesus say something similar: “She bought it so that she might keep it for the day of my burial”. In which case, why is she using it now?) This occurs after the triumphal entry into Jerusalem, just before the Passover meal, thus differs from John. (The early Church Father Papias is reported to have said that Mark knew the relevant events but not the correct sequence, which may explain this.) Matthew has the anointing scene (26.6-13), and follows Mark’s sequence. (Since scholars concur that he used Mark as a primary source, this is not surprising, if he has no information which suggests otherwise.) In Luke a similar event occurs much earlier in the story (7.36-50), well before the Triumphal Entry, when a woman who is a sinner anoints Jesus’s feet with ointment. No explanation is given, other than her obvious devotion to Jesus. Luke, however, does consider Jesus to be the Jewish Messiah. He talks of “Joseph, of the house of David” (1.27); the angel Gabriel says “the Lord God will give to him the throne of his ancestor David” (1.32), and Zechariah, John the Baptist’s father, prophesies: “the Lord God of Israel… has raised up a mighty saviour for us in the house of his servant David” (1.68-69). Surely he would expect the king to be anointed at some point, so why not be more explicit? Or perhaps he assumed readers would understand. (14) I repeat the quote by Bart Ehrman from the earlier article: “There was no New Testament. To be sure, all the books of the New Testament had been written by this time, but there were lots of other books as well, also claiming to be by Jesus’s own apostles – other gospels, acts, epistles, and apocalypses having very different perspectives from those found in the books that eventually came to be called the New Testament. The New Testament itself emerged out of these conflicts over God (or the gods), as one group of believers acquired more converts than all the others and decided which books should be included in the canon of scripture. During the second and third centuries, however, there was no agreed-upon canon – and no agreed-upon theology. Instead, there was a wide range of diversity: diverse groups asserting diverse theologies based on diverse written texts, all claiming to be written by apostles of Jesus”. As footnote (1), p153.